The artificial dracaena plant features delicate, wispy stalks are surprising strong, with each holding a shock of lush, green faux leaves. 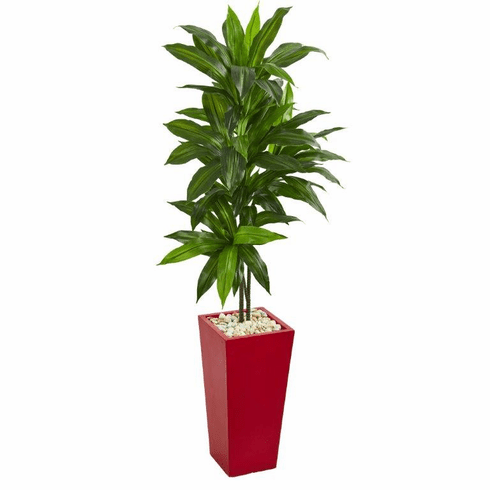 Made with the utmost attention to detail, this artificial dracaena is housed in an eye-catching red planter. Add this to your bedroom with some safe LED candles for an attractive, spicy setup. Size (Including Pot) Height: 5 Ft., Width: 18 In., Depth: 14 In.